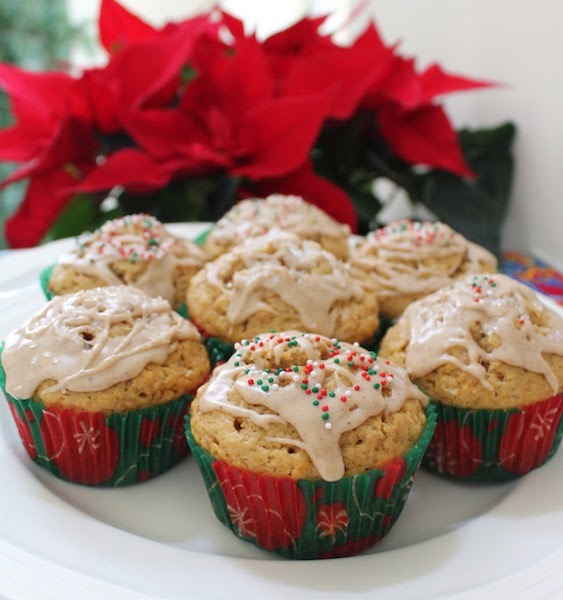 These delicious eggnog muffins with eggnog glaze are redolent with bourbon, eggnog, brown sugar, cinnamon and nutmeg, are perfect for an easy Christmas morning breakfast or afternoon treat. 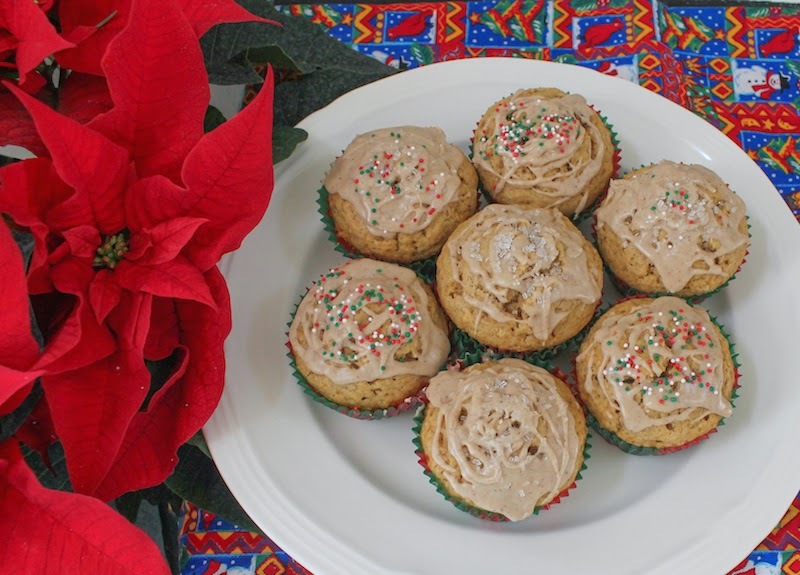 It's Muffin Monday at my house, so you know I had to make a Christmasy muffin for you. My current motto is Eggnog everything! If you agree, you'll also want to check out my grandmother's homemade eggnog recipe, my beautiful eggnog pound cake and easy eggnog mousse, a boozy dessert the adults will love. 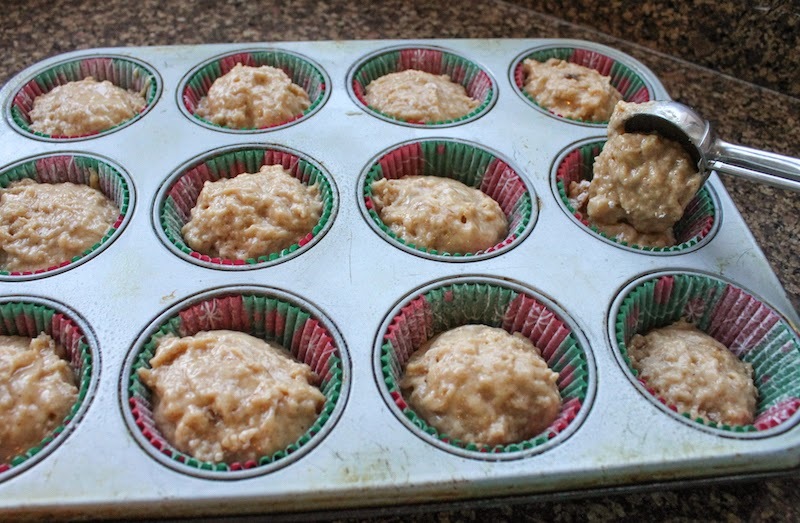 Preheat oven to 375°F or 190°C and prepare your muffin pan by greasing it or lining it with paper muffin cups. degrees. 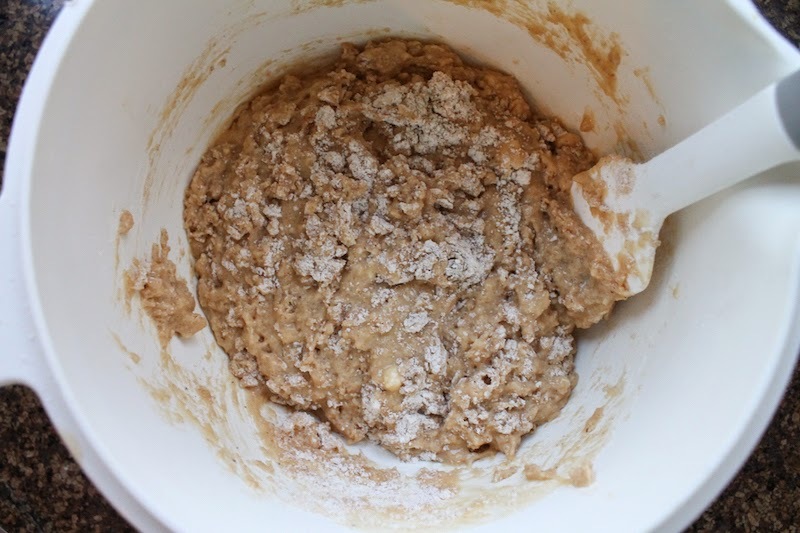 In a medium bowl mix flour, sugars, baking powder, cinnamon, nutmeg and salt. 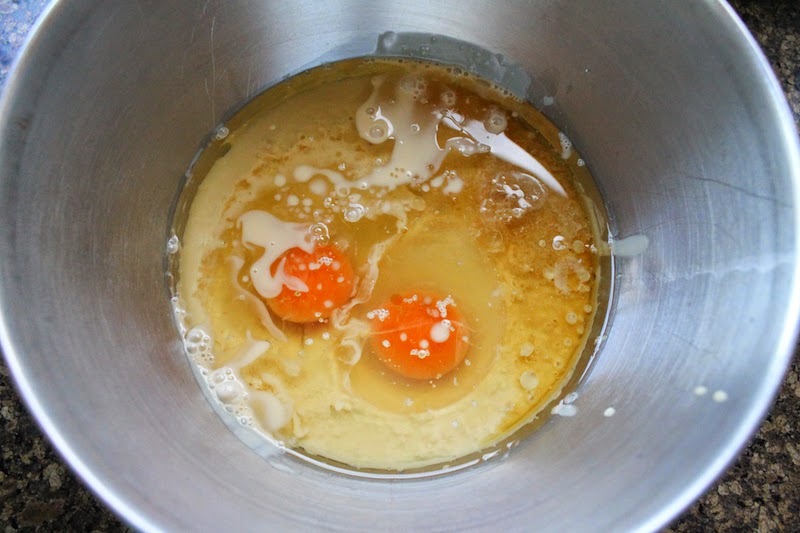 In a large bowl whisk your eggnog, oil, bourbon, eggs, and vanilla. 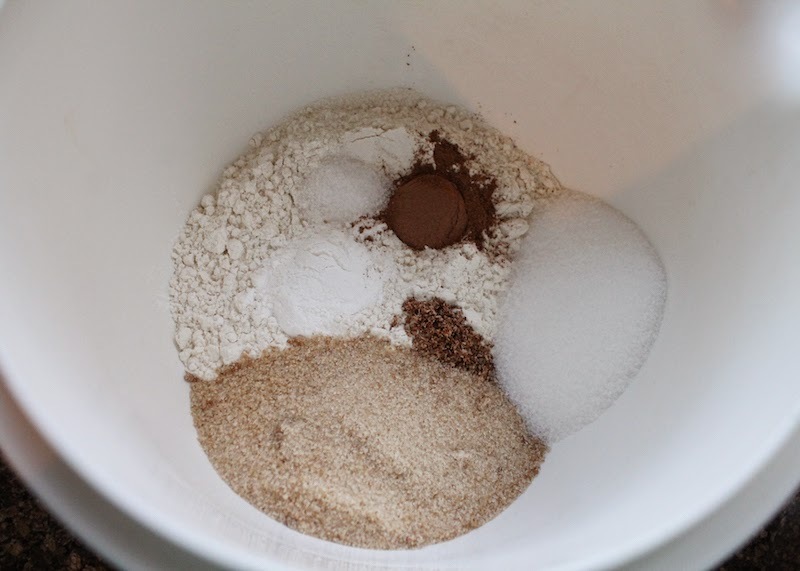 Fold your wet ingredients into the dry until just combined. A little flour will still show and that’s fine. Bake for about 18-20 minutes or until a toothpick comes out clean. Remove from the oven and allow to cool briefly in the pan. 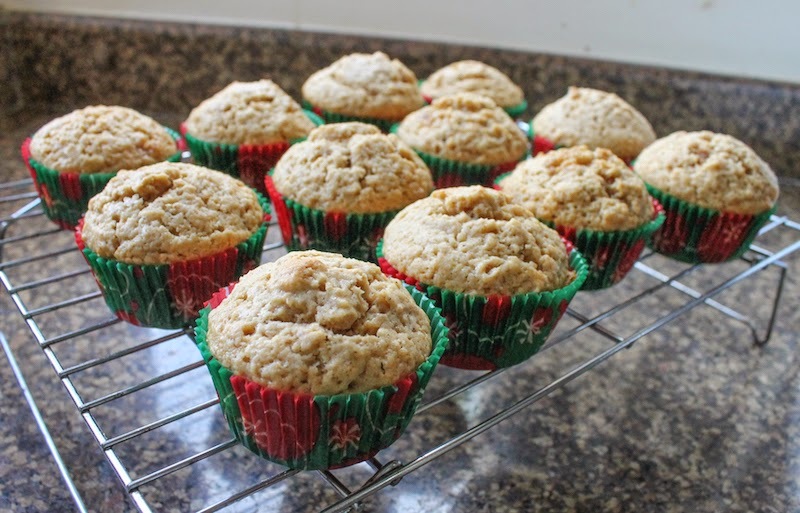 Take the muffins out of the pan and allow to cool completely on a wire rack. 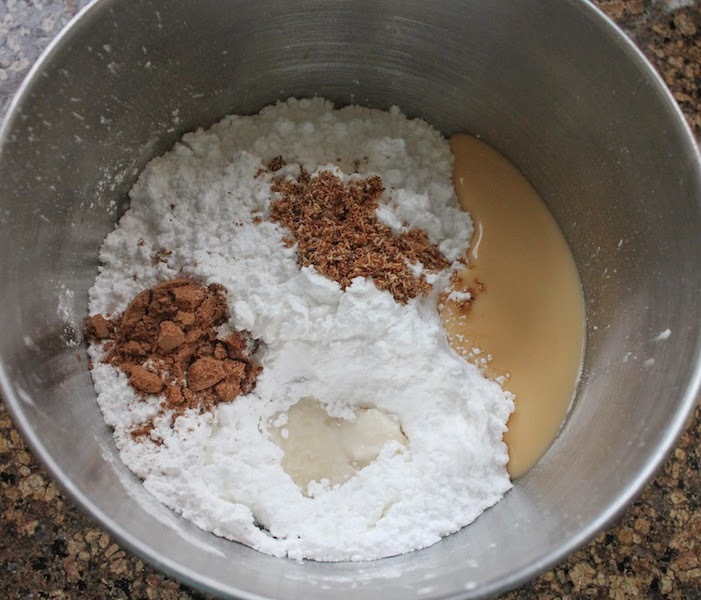 Meanwhile, mix all of your glaze ingredients together in a small bowl. 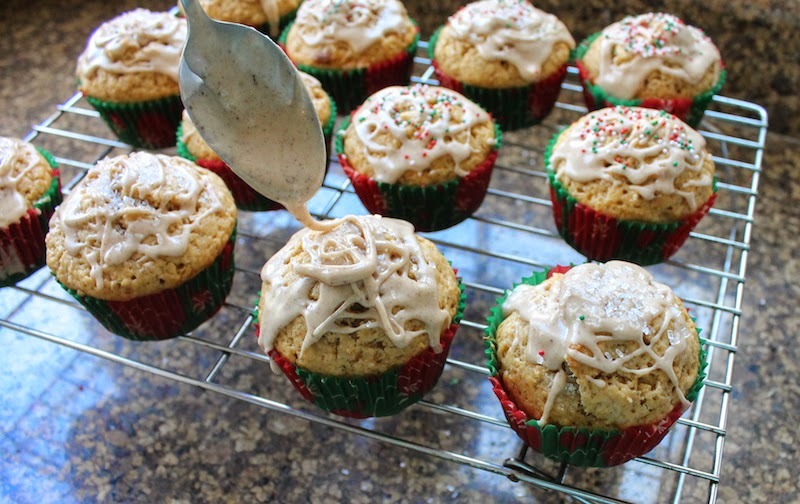 When the muffins are completely cool, drizzle on the glaze and sprinkle immediately with decorative sprinkles, if using. Enjoy! 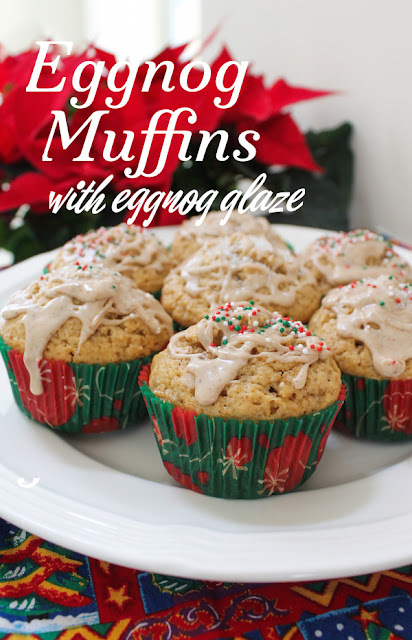 Here's to eggnogging all the things!